Just like we used audio files to sample full songs, loops and oneshots. We can use MIDI files. Remember, MIDI files don’t make a sound on their own. You will need to load an instrument before playing the MIDI file. MIDI files can be a great source of inspiration and learning tool for new rhythms, melodies, harmonies and basslines and the great part is you get to choose which sounds play the MIDI! MIDI files comes in two file formats .MIDI or .SMF. When importing type 1 MIDI files to Ableton Live make sure you hold CMD (or CNTRL) to place the MIDI clips on separate tracks. Unfortunately, we don’t have a built-in feature to separate the type 0f MIDI files to different clips on different tracks. There are 3rd party MIDI editors like MIDIYodi and MIDI Files Splitter that can separate type 0 MIDI files. MIDI technology has been around for more then 30 years and used by musicians across the entire spectrum of the music industry. If you’d like to know more about MIDI and it’s upcoming protocol updates check out the MIDI Manufacturers Association website. As we mentioned in the Sampling lesson, Multi Sampled drums are packs of samples mapped into a sampler with the goal of providing the most realistic recreation of the instrument possible. In Multi-Sampled drums we’ll have more than one sample for each drum element. Sometimes even a lot more. So for example to achieve a realistic snare sound we might tell the drummer to record the snare 10 times at different strengths. Then we’ll map those different snare sounds to different velocities in the sampler. Meaning that with only one note on my MIDI controller I can trigger 10 different snare recordings depending on the velocity (or how hard/fast we hit the key on the keyboard). Today, this type of sampling is done extensively not only with drums. We can find many sample packs or plugins that feature a multi-sampled recording of Piano, Guitar, Bass, Strings etc. These can give us realistic representation of any instrument from the real world. Ableton Suite comes with 3 Live packs of multi-sampled drums. For this class we will use MT-Power DrumKit 2 which you can find in the Beat Lab Flash Drive or download for free from this link. General MIDI is an extension of the agreement between the MIDI association and the hardware/software manufactures. It provides a layout for how sounds should be mapped on MIDI keyboards. If you ever had a musical keyboard with built-in drum sounds it will be laid out on the keyboard like in the image below. Even in Drum Racks, whenever we move our mouse over one of the pads anywhere from B0 to A4 we’ll see the GM suggestion in Live’s command line on the bottom. Remember that general MIDI is only a suggestion and you don’t really have to use it. It would be beneficial to know the basic GM mapping for any Multi-Sampled drum plugins you might use in the future and of course any Drum MIDI files you want to analyze, use or repurpose. Let’s check out a few drum techniques. These techniques can be applied using any drum sounds. Drum fills and turnarounds are breaks and variations on the main drum beat. They help us keeps things interesting and transition between different sections of the song. Fills are a drummer turn to shine. It can be any rhythmical pattern with any drum element. Use drum fills to bridge between the different sections of your song. Always experiment with different sounds and rhythms. The most simple drum fill is silence. If you take out all your drums at the last bar or 1/2 bar of the phrase it will create tension towards the next musical phrase in the song. This works wonders in styles that the kick is the one of the main elements like house music. Another basic drum fill is the snare roll. In electronic dance music snare rolls are used heavily in the build up sections and usually start with a certain note value and then become faster and faster to create more tension before the drop. Rolls can be made with any sound and not only snares try do rolls with kicks, vocal samples, synths and percussion. To quickly create rolls in Live. Highlight your rolls, duplicate, hit the :2 MIDI tool and then duplicate again. Repeat the process for faster rolls. You don’t have to use rolls only for build ups. You can also use rolls as momentary fill-ins on your main drum beat. In some styles like future bass and trap, it’s common to use triplets for rolls. Another common fill is the tom roll. We will usually use 2-4 toms. Preferably with the same tonality but different pitch. A very strong drum programming technique that is often ignored by electronic producers is to place the snare not only on the 2nd and 4th beats. The two most common examples are playing the first snare half a beat (or 16th) earlier or later. Or playing the second snare half a beat (or 16th) earlier or later . Check out the examples below. When playing drums you will naturally get a different sound when hitting the drum with your left hand versus your right hand. The change in sound is caused by a different hit position, different hit strength, different angle, different air pressure, different response to the second drum stick and so many more variables that make those two hits slightly different. When using Multi-Sampled drum instruments we already have this functionality built-in. Meaning that we get access through MIDI to different samples that were recorded with the drummer’s left hand and different samples that were recorded with the drummer’s right hand. Sometimes we don’t have L/R drum samples. But, Luckily we can mimic that in Ableton Live. Let’s create a Left and Right snare hit using the Drum Rack and Simpler. First, load the same snare samples to two pads in the Drum Rack. I’ve renamed them Right and Left. I’ll also create a MIDI clip with alternating Left Right Hits. Feel free to experiment and add any other small changed you want to the left snare. Even with Audio Effects. But it is important to remember it needs to be subtle, It is the same snare after all. These techniques can be used on any drum element to create a left/right sound. The most common Ghost hits are ghosts snares but this technique can be used with any sound. The main concept is that we use velocity to our advantage. In other words, we will have our main drum hits play the loudest and in between, we’ll program lower velocity hits. In music, Tuplets are irregular rhythms or abnormal beat divisions. We already talked about the most common Tuplet which is the Triplet. In Ableton Live we can divide each beat to 1 (Quarter notes), 2 (Eight Notes), 3 (Eight Notes Triplets), 4 (Sixteenth Notes), 6 (Sixteenth Notes Triplets, 8 (Thirty-Second notes) and so on. But we don’t have an option to divide the beat to 5, 7, 9 and so on. When we divide to 5 it’s a Quintuplet and 7 is Septuplets and 9 is Nontuplets. This type of divisions are used in many styles of music, most noticeably is Neo-Soul (Erykah Badu, Jill Scott etc.) and instrumental hip hop (J Dilla). To use Tuplets in Ableton Live create a midi note and duplicate it for the amount of tuplets you want plus one. So if you are trying to create a division of 5 (Quintuplets) create 6 MIDI notes. Then use the MIDI Strech Markers to shrink the notes into one beat. Then delete the last extra note. Check out this Instagram tip we did covering Quintuplets and Septuplets in Ableton Live. Flam is a drumming technique that is very common in rock and pop music for drum fills and transitions. Playing a real drum kit. The drummer hit the snare with both sticks right after another creating a different snare sound. To create this in Ableton Live change your MIDI grid to 1/64 and add one note before your snare. Here is an example of a regular snare hit on every beat. Now we add a 1/64 note before each snare to create the flam sound. Feel free to experiment with different velocity. A real drummer will usually hit the first snare of the flam slightly louder. Here is a use of flam in a drum fill. Check out the last snare. We can find influences of Afro-Cuban and Latin rhythms in all styles of music that rely heavily on rhythm and groove. Clave rhythms and it’s variation are the backbone for all Latin Rhythms. It is traditionally played on two wood sticks that are also called Clave. But today we can find calve rhythms in all styles of music although they might not play it with an actual wood block instrument. The first clave rhythm we’ll look at is the son clave, the grand father of styles of music like samba and cha-cha. It is commonly written across 2 bars. This is called the 3-2 son clave as you can see why from the image. Another Popular Clave is the Rumba Clave. Mostly used for Afro-Cuben styles. Brazilian music like Samba and Bossa Nove use a variation of the clave called Partido Alto. The Clave was the rhythm foundation for all instruments and all players would listen to the Clave player and play around his tempo. We can add more instruments like a shaker or a cowbell with different patterns that will compliment the clave. Here we are playing 1/8 notes triplet which gives a 6/8 fill on 4/4 time signature. For more complex examples and type of instrumentation check out the Latin Percussion Live Pack. And remember, It’s all MIDI! You can take clave instruments or clips and change the sound to an electronic percussive sound for a more modern approach. Polyrhythms are two or more different rhythmic signatures played together. Polyrhythms are the back bone for many styles of latin, Caribbean and African music. Polyrhythms are everywhere. These rhythms are so prevalent that you have most likely heard one and not even have known. Polyrhythms can give a very complex percussion section that you can add underneath your main kick and snare. Euclidean rhythms is a technique to create interesting poly-rhythms with ease. In Ableton Live we can simply decide how long the clip should be for example 3 beats and how many notes should be distributed for example 2. So the clip in Euclidean context will be named (2-3). Here are some example of rhythms using the Euclidean method. Check out the bottom of the page for an Ableton Live Polyrhythms template. Playing around with different percussion instruments playing different length of clips can give us an easy tool for polyrhythms experimentation. Sometimes we have really great drums but still something is missing. We can fill things up with Ghost Rhythms. To create ghost rhythms, duplicate your drums loop (resample if necessary). Then Reverse the duplicated drums. If you play it, it might sounds too messy. Ghost rhythms are meant to be played in very low volumes just to add size and ambiance to the drums. Try turning down the volume and add any effects you want. I’ve added a reverb for space and I’ve also cut the lows using an EQ Three. As you can hear, the change is very subtle but does have significant impact. You can also use Ghost Rhythm with completely different drum loops just make sure you listen carefully to hear if both rhythms compliment each other. One way to tell how much volume the Ghost track should have is to turn it all the way down. Then turn it slowly up until you can hear the ghost rhythm and then turn it down a notch for the volume sweet spot. Very similar to ghost rhythms but in this technique, we will use different cymbal samples (hats, rides, crashes etc.) playing in different lengths to add that extra weight, texture and space to our drum beats. To create ghost cymbals add a new MIDI track and load it with a Drum Rack. For some styles of music recording your drums live using MIDI controllers or recording real drum kit can do wonders to the vibe of your song. Mostly because if we look at the recorded drums as a MIDI clip the notes won’t be exactly on the grid. This can add a lot of groove, which can make or break a song. If you don’t want to record your drums live using a MIDI controller you can simply turn off the grid in Ableton Live and move the notes slightly forward or backward in the grid. Be Subtle. Here is a quick way to move notes off the grid. Select the note/s. Turn off the grid (CMD+4), Use your arrow keys left and right to nudge the notes slightly off the grid. In drum programming, it is important to choose the right sounds as much as it is to sequence the right pattern for the style of music you’re trying to produce. Let’s take a look at 9 popular electronic drum styles. They are all 4 bars with fills at the last bar. 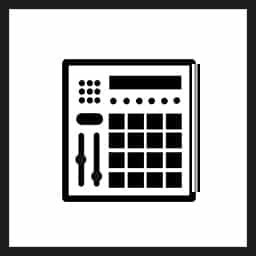 YOU CAN DOWNLOAD AN ABLETON LIVE PROJECT WITH ALL THE BEATS AND DRUM RACK ON THE BOTTOM OF THIS PAGE. Choose 2 styles and create a drum kit. Then program a 4/8 bar drum beat with a fill at the last bar or half bar.